Billie and her friends make up the “Hexagon” – a gang of rowdy and inseparable teens in their small Kentucky town of Otters Hollow. They’re prone to mischief and pranks. As the story opens, they’ve managed to nearly burn down Billie’s church in an experiment involving a dirty sock and the church’s aged microwave oven. But the kids love their town and they love the annual Corn Dolly Harvest Festival. The Festival is endangered after the passing of the town’s patriarch and the Hexagon decides that they are going save the Festival. They launch a massive fundraising campaign and incidentally get Billie nominated for the Corn Dolly Contest – an award given to the woman who is judged to be the epitome of femininity and generosity in Otters Hollow. That description couldn’t be any further away from androgynous, scruffy, boot-kicking Billie. And for her, even the idea of “femininity” is hard to grasp. She’s still trying to figure out if she’s straight or gay – a fact not helped by her interest in both a boy and a girl, or by her desire to keep things platonic. Part of the key of the Hexagon’s bond is that everyone stays as friends only. But as they have grown older, that promise is starting to fray. All of which makes Billie’s sexual orientation an object of speculation. 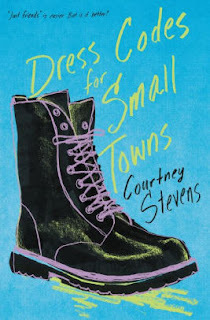 And in a small town not being easy to compartmentalize is a problem, which complicates her relationship with the town -- a town that she loves, but which may not love her back. 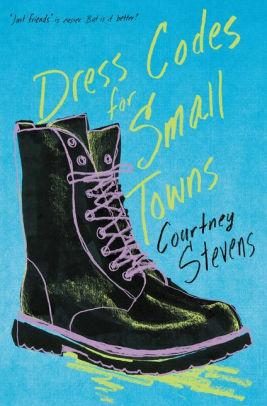 A nice genre defying novel that blows apart stereotypes about the rural South, Christian fundamentalists, and teen gender identity angst. Billie is a true original – a tomboy who kisses both the boy and the girl (and stays friends with both!). She can be kind and generous, and still make bad choices. And her friends are full of mischief and trouble. Sometimes the cast of characters gets overwhelming but this story feels new and special. There's lots of energy and personality in the characters and a real small town feel.